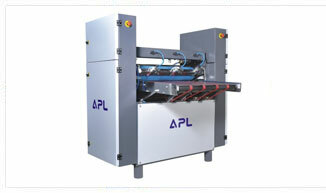 APL Machinery Pvt. 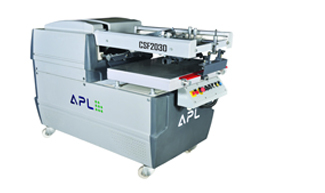 Ltd. is a global leader and exporter of UV Coating Machines, Fully automatic UV coating machines, spot UV coating machines, Printing machines, Screen printing machines, UV coater, UV lamps, UV varnishing machines, UV lacquering machine, UV curing systems, UV coating system, Thermal Lamination machine, Paper Graining Machines, Fully Auto Screen Printing Machines for paper and duplex boards, Roll to Roll Screen Printing Machine, Screen printing machine, Printing machines, Manual full coater machines, Non Woven Bags machines. We are working with many traders/ distributors/ suppliers/ sellers/ trading companies and dealers of all over India and indulge with other foreign collaborations. We strongly believe in  Win Strategy. With this vision we are working/ looking for many dealers & trade partners of various countries viz. USA, UK, Singapore, Dubai, Saudi Arabia, Thailand, Nigeria, Nepal, Ghana, Bahrain, Zimbabwe, Egypt, Malaysia, Ukraine, Vietnam, Russia/ CIS, Poland, Romania, South Africa, Sri lanka, Sweden, Sudan, Switzerland, Tanzania, Turkey, Romania, Bhutan, Bangladesh, Indonesia, India, Iran, Italy, Kenya, Germany, Ireland, Canada, France, Australia, Algeria, Rome, Netherlands, Philippines, Brazil and Benin. Above all, we always support our customers by word and deed because we attach the same importance to competent advice and high quality service to our customers because we believe  A satisfied customer is our best advertisement and achievement. 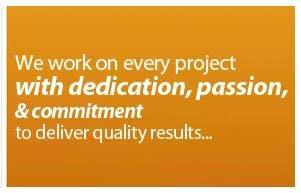 Our clients have always appreciated our products for their superior quality, performance and long life. We give prime emphasis to trust, mutual benefit and relationship with our clients and special care is taken to ensure a hassle free business process and convenience to our customers.